The Valiant was announced in the press during November 1956 and seen by the public later in the month at the Earls Court Show. Again, this machine suffered from an under-sized engine and was too small, too costly and not quick enough. However, purchasers gained a sophisticated machine, on which Veloce had spared no expense in manufacture. 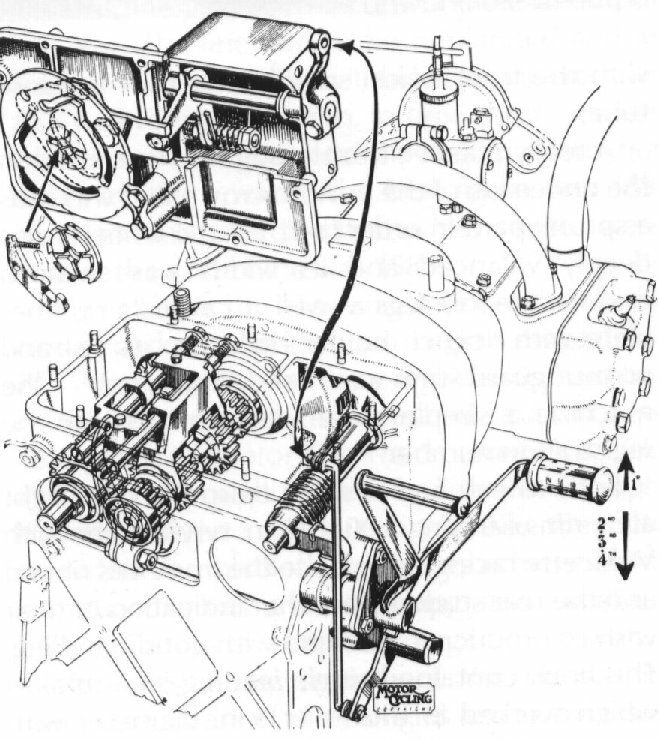 The layout of the Valiant engine and transmission was just as that for the L.E. but many of the details differed in some way or another. 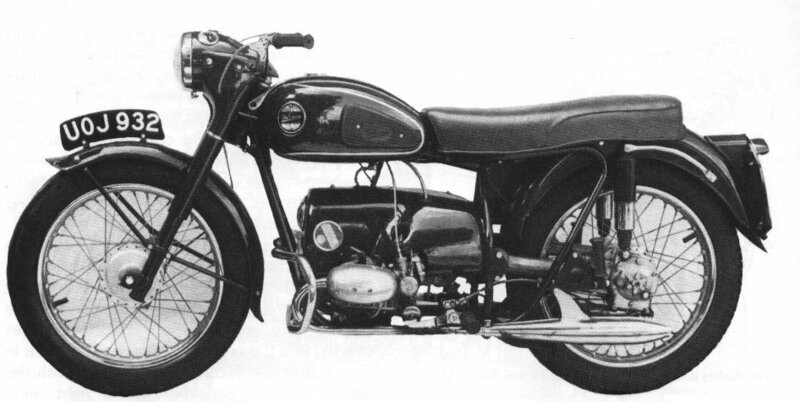 Apart from the more obvious changes, the engine was now air-cooled and with overhead valves. The big ends were widened giving more offset to the cylinders and making the crankcase larger. This was necessary to cater for the increase in power achieved by use of the o.h.v. system. The cylinders were of cast iron with steel pushrod tubes and alloy heads. The valve seats were shrunk into the heads along with the valve stem bearings. The existing Miller generator was used but with a different advance/retard unit to the front end. The tappet access holes, for the side valve unit, were cast over and made integral with the main crankcase. 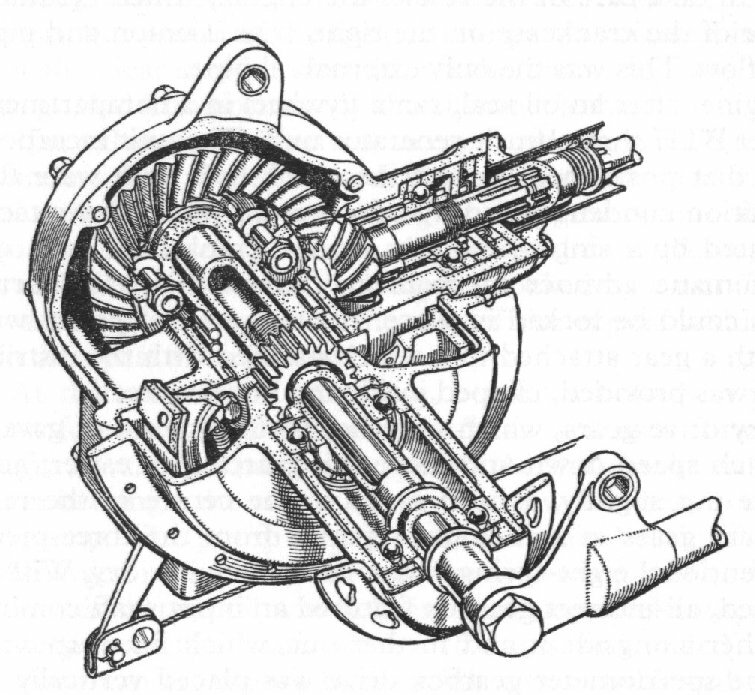 The lubrication system was the same as the L.E. but with extra pipes feeding the overhead valve system. The oil filter was re-located to the underside of the clutch housing. 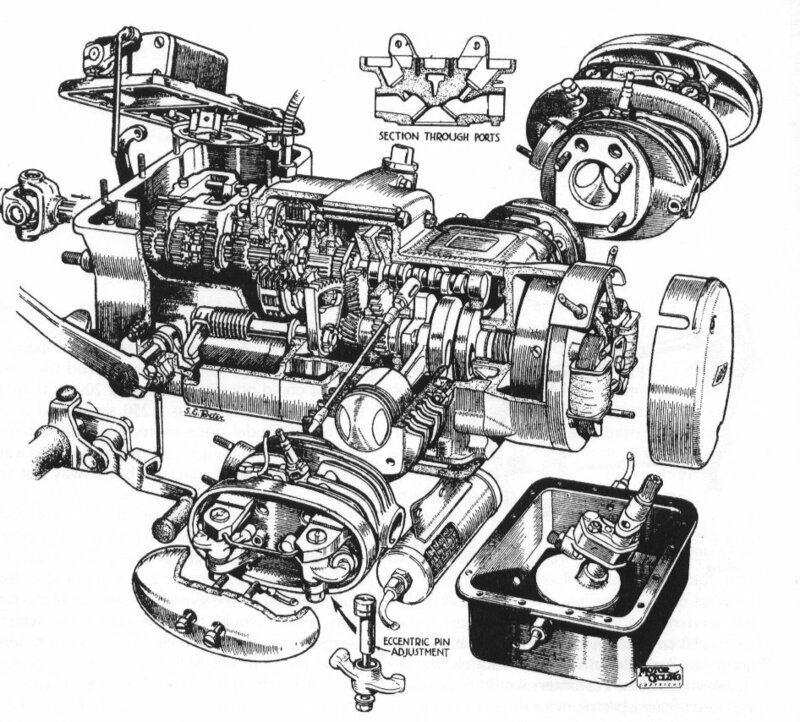 The clutch and four speed gearbox were as described for the Mk.3. L.E. and the final drive was via the new cast aluminium pivoted fork. The drive was fed through the left leg via a universal joint and propeller shaft. At the rear end went the bevel box, as on the L.E., complete with brake and drive to the quickly detachable rear wheel. The fork pivot was as for the L.E. together with the seal to protect the universal joint.